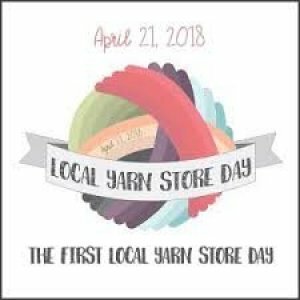 Today is the First Annual Local Yarn Shop (LYS) Day. We hope that if you have not already been in to celebrate with us that you will pop in today! TNNA, The National Needle Arts Association, initiated the day not only to celebrate the LYS but also to help us combat on-line shopping. They asked all participating yarn companies, designers, and stores to make the exclusive LYS Day items available only in brick and mortar stores. And doing so, it made me wonder, do we really have to fear on-line sales and big box stores? I would say yes and no. The news is constantly shouting, “Retail is Dead!” And seemingly proving the point, 2017 was a record year for retail store closures with more than 7,000 stores closing and it is expected that 2018 will meet or exceed that number. Indeed, already this year we have seen the loss of Toys R Us - a chain that put many a Mom and Pop toyshop out of business. This loss has the toy industry panicking — where will they sell their toys now? Are they stuck with discount chains and Amazon only? And then we think, can this happen to our industry. Well, in the 7 years we have been open we have seen 9 Yarn Shops within a 40-mile radius close with only one of them replaced with a new store. And there was some serious panic at the Winter Buying Show because buyers from Amazon were there and we heard from many a retailer that Amazon selling yarn will be the death nail in our coffin. OK, are you depressed yet? Take heart!! I do not believe that the situation is nearly as bad as that for our industry. But I will say that as LYS owners we have to give you a reason to come in! If we do not differentiate and create an experience for our customers we have only ourselves to blame if you stop coming. Early on at HOKC we realized that we could never compete with Michaels, JoAnn’s, Wal-Mart and now Hobby Lobby on price. Think about it — all of those stores are within 5 miles of our store! We needed to be able to offer yarns of a better quality but still at a good price as well as some amazingly yummy yarns. But even more importantly, we needed a reason for being. And our goal, from the very start, was to be a store where people could get a “hands on experience.” We knew we wanted a space that would allow us a large table in the store where people could gather all hours we were open. We knew we wanted to offer free help at that table during all of those hours. We knew we wanted a separate classroom and to offer quality classes at really affordable prices (our classes, taught by us, are still only $15 compared to the industry standard of $65) and to always offer quality tools, great basics, and some fun things too! So, yes, Amazon has impacted our business. For the most part, we no longer carry books because Amazon sells them for about the same price as our distributor. But we do not necessarily see this as a bad thing — it has freed up both money and space for more yummy yarn! And Ravelry has had an even larger impact on how our customers shop for patterns and books. And even with all of the changes with online sales, our store continues to do really, really well. We are strong, healthy, and growing. 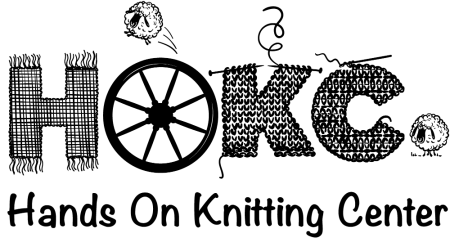 And thanks to all of you, we plan to be around for a very long time! I think the future of the LYS is in providing fantastic in-store experiences. We plan to continue to do that and we also plan to add an on-line segment to our business. We realize that we service an ever-expanding area and want to make it more convenient to get our products into your hands. We added a YouTube channel last year to support our classes and reinforce the information we teach. We are exploring ways of providing distance learning — so the classes we teach in store can be watched on line in an interactive format. We want to continue to expand our selection - sourcing both great deals and also ethically produced yarns that help our larger community and to continue to support and build our local artists. It is interesting for LYS owners to stop for a moment and reflect on why our stores are so very important to our communities. Those of you who have suffered a loss of a favorite LYS have keenly felt that loss. I believe the LYS is not just a place to buy yarn — you can do that anywhere — but when done right, the LYS is an integral part of our lives allowing us to meet new friends and find our tribe, explore our creativity, find a shoulder to cry on, a place to celebrate our successes, to learn new things, and find some yummy treats, and so much more! So while this day is designed to celebrate the LYS, we want to also take the day to celebrate you — our very reason for being. Thank you so much for all of your support over they years and allowing us the chance to thrive as a store and community.